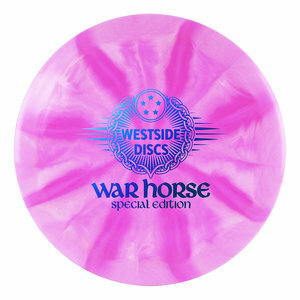 Disc golfers can charge into battle with the new overstable distance driver from Westside Discs, the War Horse. Combining higher speed with dependable stability, the War Horse can tackle strong winds with pinpoint precision. This Special Edition is made in Tournament X-Blend.